That’s right, search friends, we’re campaigning on Indiegogo right now! 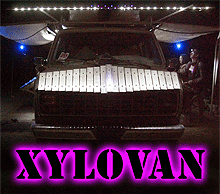 Please jump in, check out our video and give as much as you can to help XyloVan get back on the road and all gussied up with new lights, sound and instruments. Please share this link with your friends and help us bring more music to the people. What’s in it for you? 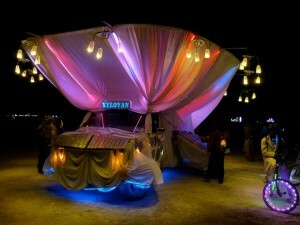 Aside from keeping one of the world’s weirdest, most interactive art cars in action? Well, handsome schwag, ruggedly beautiful handcrafted aluminum amulets, gorgeous musical instruments, personal appearances by XyloVan and a helluva lot more. Please come check it out and give us a hand! no comments	| tags: art car, burning man, indiegogo, lucidity festival, mutant vehicle, xylophones, xylovan	| posted in Indiegogo!